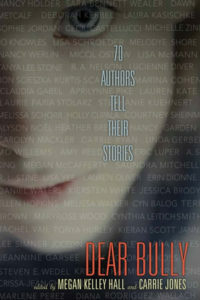 ABUSE in the DEAR BULLY: SEVENTY AUTHORS TELL THEIR STORIES anthology, edited by Megan Kelley Hall and Carrie Jones. Buy now at Barnes & Noble, Amazon, and Indiebound. ROLLING STONE in TRIBULATIONS, a Rogue Mage anthology edited by Faith Hunter and Spike Y Jones. Buy now for Nook or Kindle. OF BLOOD AND BACON (a free Vamped short story) click here to read. FANGED (a free Vamped short story) click here to read. IMAGINARY FIEND in the STRIP-MAULED anthology, edited by Esther Friesner. Buy now at barnesandnoble.com, borders.com and indiebound.org. FRUIT OF THE VEIN in the FANGS FOR THE MAMMARIES anthology, edited by Esther Friesner. DOING THE DEED, a twisted little tale published in Hardluck Stories’ summer 2007 issue. PLAYING NICE, a suspenseful romantic comedy published by Five Star in November 2006. THE PROBLEM WITH PISKIES, an Italian stallion cop, a problematic pisky…a match made in, well, Hell, printed in Quantum Barbarian Magazine’s final issue. Read for free here.